The horn blows. The referee raises his right hand and blows his whistle signaling the start of the game. “30’s” our team captain Jay Alston calls from the tap. “30’s to 32-P here on the right.” I signal acknowledgment and drive the ball up for a dump in front of the acting half. 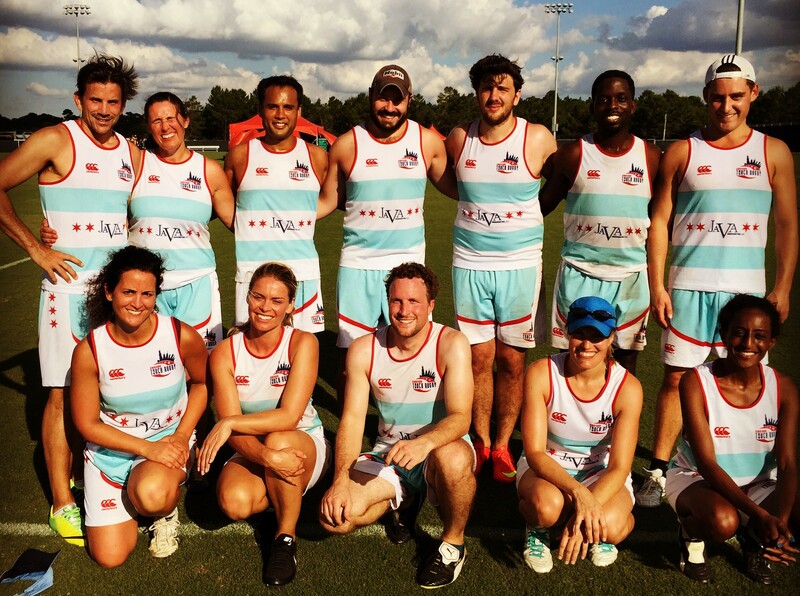 Instinct takes over and the adrenaline pumps as we hit the defense looking for a gap… I’m on the field playing for Team Chicago against the Cayman Islands at the USA Touch Rugby National tournament. And no, this is not a dream. I grew up in Australia where one of the more popular national sports that both men and women play is called Touch Football. Created in Australia in the 1960’s, Touch quickly became it’s own regulated sport spreading to England, New Zealand and across the Pacific. Teams typically consist of 10-14 players, with six people on the field at a time. While there are men’s and women’s divisions of all age groups, the co-ed (or mixed) leagues are socially popular and most commonly played in schools. It is now estimated that well over 1 million Australians (out of a population of 23 million) have enjoyed playing this sport at some level. Well, essentially it’s a non-contact version of the game Rugby League. Not to get this confused with Touch Rugby, which is a non-contact version of Rugby Union, a related but largely different game. In Touch you can only pass laterally or backwards with the goal of making forward progression down the field in just six touches. The ultimate goal is to score a ‘try’ across your own touchdown line by creating gaps and confusion in the defense. Frid ay October 10, 2014 I wake up in Orlando, Florida, at the Caribbean Resort at Disney. 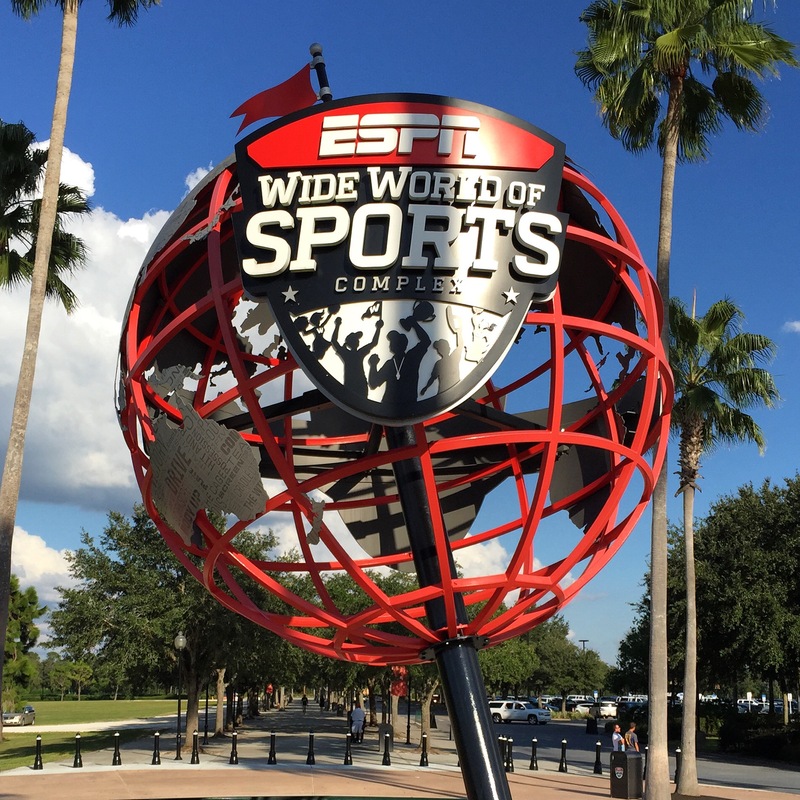 Here, Disney has built the ESPN Wide World of Sports complex – an impressive sprawl of sporting venues and fields. My roomie and team mate, Maggie Duggan, chats to herself as we get ready for the day’s tournament. Maggie is from Christchurch, New Zealand and (like me) grew up playing Touch so it’s in her blood as much as it is a passion. Our first match is against New York, followed by Galaxy DC then Galaxy Worldwide which basically consisted of players from the British National Team. I had to keep pinching myself to see if I was really here. I had first competed in Touch Football at a national level back in Australia at just 14 years of age on the South Australian U16 State Team. I went on to represent my state in U18’s and Women’s Open until snowboarding took over my life and I traded in the grassy fields for snowy steeps. So it’s been a good 13 years since I’ve played in a touch tournament and boy did I feel right at home. So how did I randomly end up playing for Team Chicago in the USA Touch Nationals? Last Thanksgiving in San Diego, an Aussie bartender told me of a local touch league not far from Solana Beach. Eureka! Back in SoCal almost a year later, I reached out to the USA Touch Facebook page. While I didn’t find a San Diego game that matched my travel schedule, I DID find out that the USA Touch Nationals in less than 2 weeks time fit into my schedule beautifully. Lucky for me Team Chicago was short female players due to a last minute withdrawal. I jump a plane from Miami to Orlando for just 48 hours, to tear my feet up on the turf, literally! These ‘pretty in pink’ pedicured feet are not use to stepping and accelerating in brand new, bought-the-day-before cleats. Touch is a fast game with lots of running, like soccer. It’s high intensity work on the field, then quick subs with players on the side line, like ice hockey. It’s physical in the respect you dive for touches and trys, like beach volleyball, but you run a playbook of moves and sequences to create breaks in the defense, like in flag football. So now that you know all about the fringe sport of Touch Football here in the USA, and want to try it for yourself, pick-up games are available in Portland, San Diego, Los Angeles, Houston, Ft. Lauderdale, Palm Beach, New York, Phoenix (Tumeke), San Francisco and Washington DC. Anyone in Aspen, CO up for joining me for a run with The Gentleman of Aspen next summer? Exhibition Rugby game: New Zealand’s national rugby team, the All Blacks against the USA Eagles on Saturday November 1 at 3pm Central, at Soldier field in Chicago. It’ll be the All Blacks first game back in the U.S. since 1980. It’s a big deal! NBC will provide national broadcast coverage for the 2:30 P.M. CT kickoff. Don’t miss the All Blacks haka, a traditional Maori war dance performed before each game to intimidate the opposition. It’s powerful to watch, more so in person. My mum’s a Kiwi and performed a brilliant rendition of the haka for my first grade class. That’s one version of the haka I’ll never forget. USA are the most recent qualifiers for the 2015 world cup in England and the All Blacks are currently ranked #1 in the world, so it might not be a closely matched game but will be fun to watch all the same. Looks like a very challenging game and lots of fun!